As with all mini session bookings, Kristie received my Session Preparation Guide which gave detailed suggestions about how to choose the best clothing, how to prepare her kids to be in front of my camera, and exactly what they could all expect from our time together. Everything went off without a hitch and I am thrilled with their final gallery! For now, here are my favorites from my time with this family!! Have you been putting off family pictures because it’s just “not the best time” right now? I have news for you - it’s never the best time! I will confess: For almost every family session I book for my own family, I end up running around at the last minute gathering the right pieces of clothing for everyone while simultaneously trying to doll myself up, too. Then at the session, I worry about how my clothes are laying on my body (“please, oh please, let this be flattering!”), if my daughter is giving her “CHEESE” face or a genuine smile, and whether my husband and I look relaxed enough. But in the end, it is always worth it. Because, I hire professionals who are excellent at their jobs and if you hire me - you will be doing the same. I do everything I can to ease the stress of preparing for and participating in a family photo session. From giving clothing suggestions, to offering hair and make-up services, to listening to your concerns and respecting them throughout our time together, it is my goal to make this experience an excellent one with an equally excellent result: family portraits for you to love and treasure for years. 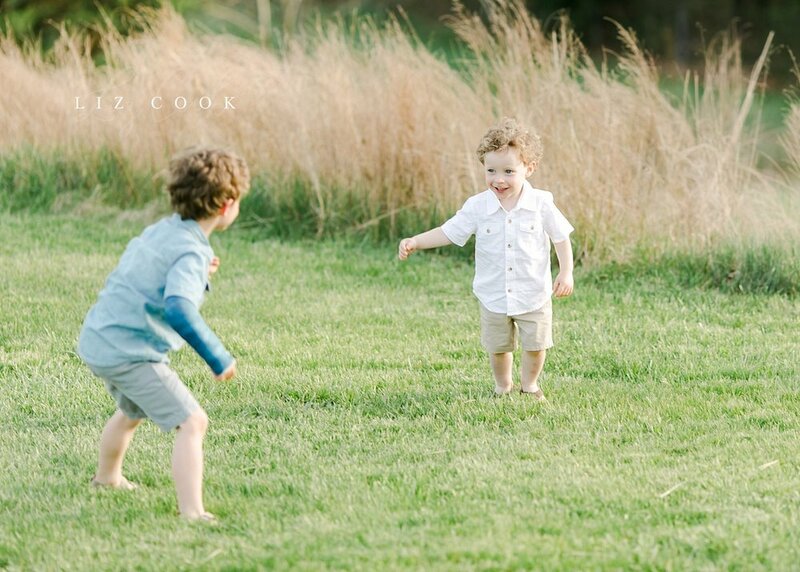 Liz Cook is a family, birth and wedding photographer in Central Virginia. She loves to photograph emotional and discreet birth stories, the details of parenthood, and fun and easygoing couples in love.